"On June 3, 1770, as the Native Americans watched, the San Antonio sailed into Monterey Bay. Fathers Serra and Crespi said prayers and named the new mission Mission San Carlos Borromeo for St. Charles, a church official who lived in the 1500's. 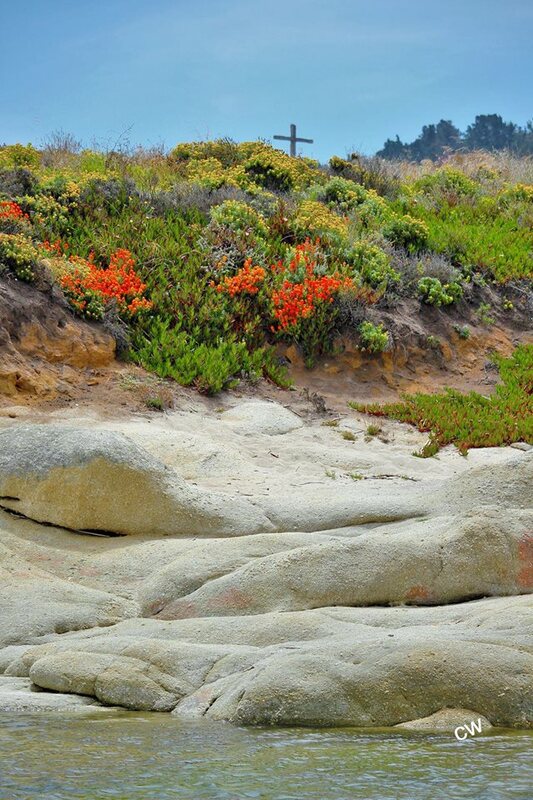 After Father Serra gave the sermon, Governor Portola claimed the land for the Spanish King." From: "Father Junipero Srra" By Donna Genet, 1996.